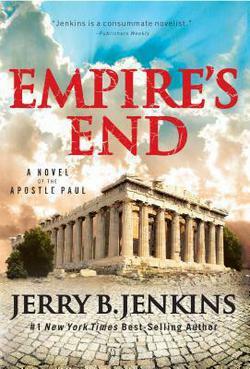 “I preached Christ and Him crucified, and many more became believers.” This sentence summarizes the essence of the book, Empire’s End by Jerry Jenkins. It is the gospel of the Lord Jesus Christ that fueled the resolve of Paul the apostle. It is the gospel that motivated his every action. It is the gospel that he lived for. That same gospel, he died for. Empire’s End is historical fiction. 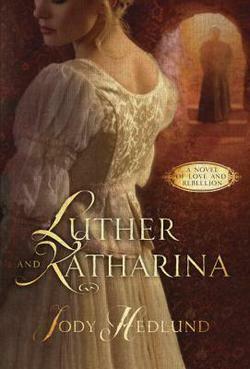 Anytime an author sets out to capture a historical setting in a novel, he walks a fine line. On the one hand, this genre allows a certain flexibility and enables the writer to utilize what some have referred to as a “sanctified imagination.” This is entirely appropriate so long as the imagination stays within biblical bounds. On the other hand, this genre poses difficulties for some readers have difficulty separating fact from fiction. Jenkins does a good job of painting a portrait of Saul of Tarsus, the religious zealot who is miraculously regenerated on the Damascus road. He shows the tension that exists in this newly converted man as he faces people he hated only moments before. Jenkins develops several biblical characters and fictional characters that keep the story moving and help show the cultural context that Paul ministered in. While the novel reads easily and holds the attention of the reader, there is a propensity to get caught up in the story while forgetting the actual historical context. Whether that is the fault of the author or the reader is left for the jury to decide. Overall, Empire’s End is an enjoyable read. The intent is clearly to magnify the great God as his purposes unfold in the life of his servant, the apostle Paul. Razor-wire fences. Vicious dogs. Soot filled chimneys. Gas chambers. Piles of rotting corpses. The stench of human flesh. These are only a few of the images that make up one of the many death camps devised by the Nazi’s during World War II. Joel Rosenberg offers readers with his first attempt at a work of historical fiction; a novel which tracks Jacob Weisz, a young Jewish man from Berlin. Weisz is captured in a failed attempt to liberate a train heading for Auschwitz. While Weisz endures the hellish confines of Auschwitz, he also develops close friendships with several people; a twist that offers hope in the midst of adversity. The title gives away the main plot line which leads Weisz away from Auschwitz. But his escape is not self-focused. Rather, his departure is for a greater purpose – the liberation of masses in the death camp. 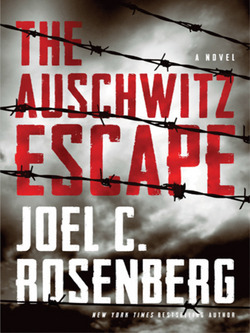 Once again, Rosenberg pens another award-winning novel; a novel that is filled with pain and realism, interesting characters, and historical tidbits that will lure many readers to the primary sources for more information. The author directly confronts the problem of evil and presents hope that is grounded in the biblical worldview and centered on the cross of Christ.